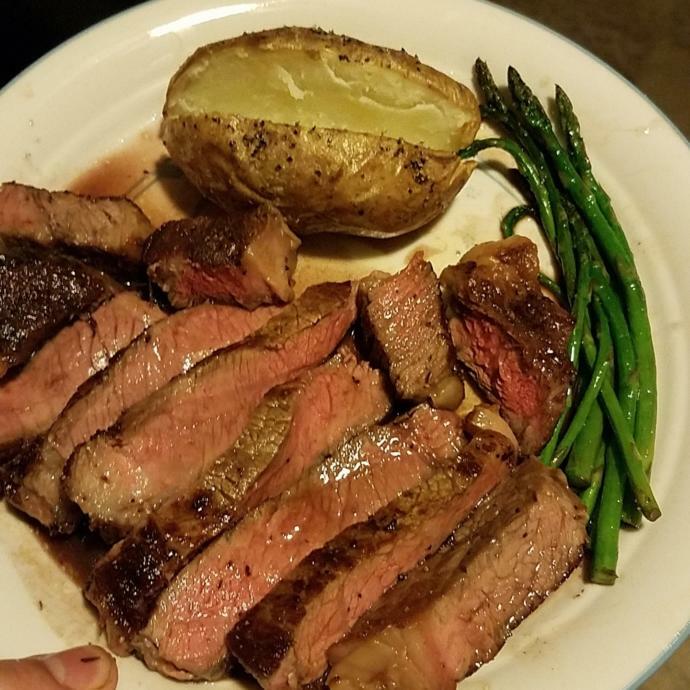 How does my rib eye look? If you're asking about the sear it wasn't perfect. I don't know. Looks a little overdone for my tastes. It’s all cut up so you can’t see how the surface looks. It’s also kind of a thin cut for a ribeye. Do you like pizza? Do you like peach jam? What are your favourite sweets? Sauce for fish? Breakfast in bed or dining? It looks yummy! I had steak at a restaurant today because I'm on a low carb diet but I wanted to eat something tasty today. But if you don’t add sour cream and chives and bacon to that potato I’m going on strike. Damned unfair to post that picture! Response to update: Okay, it's not perfect. Still unfair to post this picture. Meat. . . good! Me want! Lol I can't have an opinion? Looks like medium, which is my preferred doneness. Not cooked enough for my taste. We need to stop being silent about violence towards healthcare workers My Journey On GAG What It's Really Like to Be an "Ugly Woman" Tattoos and why I am so tempted to get one or more, let's begin shall we! :) Why be insecure? Home > Food & Beverage > How does my rib eye look?